Eye on the Sixties: The Iconic Photography of Rowland Scherman is an intimate portrait of photographer Rowland Scherman, who captured the transformational events and figures of the 1960s, including the March on Washington, the Newport Folk Festival, Woodstock, the first Beatles concert in the United States, the burial of the Apollo I astronauts at Arlington National Cemetery, and the 1968 presidential campaign of Robert F. Kennedy, among many others. Eye on the Sixties: The Iconic Photography of Rowland Scherman airs Friday, April 19, 2019 at 10:30 p.m. on WXXI-TV. 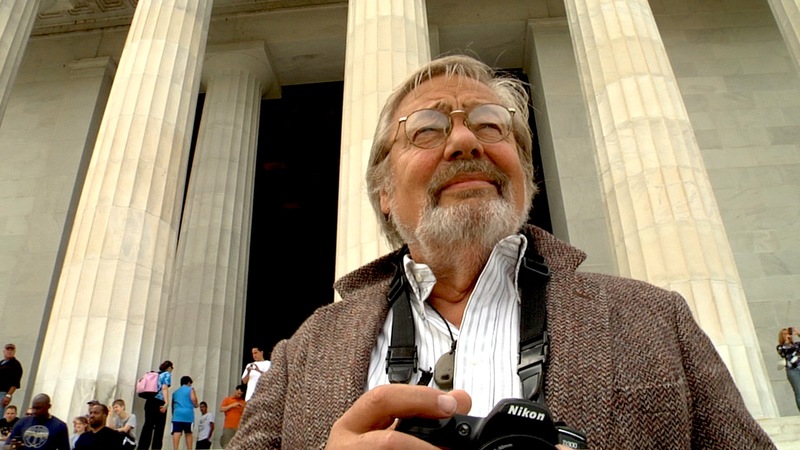 At the sites of some of his most famous photos, Scherman shares candid and insightful recollections and seldom-seen images of politicians and celebrities of that era. In present-day and archival interviews, singer Judy Collins, LIFE journalist and PEOPLE magazine founder Richard B. Stolley and other notables share their thoughts on Scherman and his enduring work.